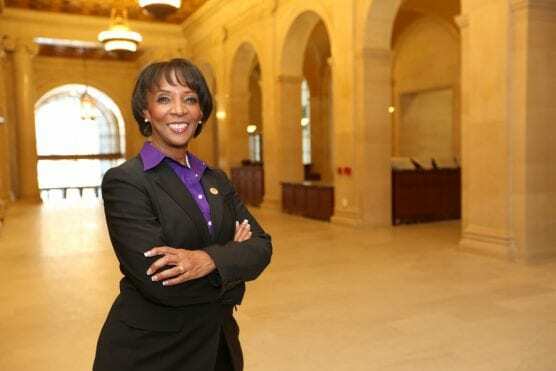 Los Angeles County District Attorney Jackie Lacey on Wednesday announced an expansion of her office’s efforts to help people living with mental illness in the criminal justice system. The new division – the first of its kind in a prosecutor’s office in California and, possibly, the nation – was established effective Wednesday. The new division builds on Lacey’s legacy of leadership in seeking a more just and effective criminal justice system for people living with mental illness. The division staff will seek opportunities to expand treatment and other community-based services for people whose untreated mental illness historically has resulted in longer periods of incarceration and mental deterioration. Since her election in 2012, Lacey has worked diligently to address the needs of those with mental illness. She formed what would become the county’s Mental Health Advisory Board with mental health and criminal justice professionals in 2013. In response to its recommendations, Lacey has provided free mental health awareness training to more than 1,400 first responders from smaller police agencies. The training shows first responders how to safely de-escalate encounters with people in a mental health crisis, improving the safety of the officers and the public.